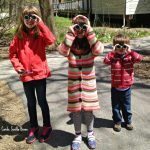 Imagine peeking out from inside a giant birds nest, or walking through a squirrel walk net high above the forest floor, or peering out through the tops of the trees to see what birds and other critters are about. 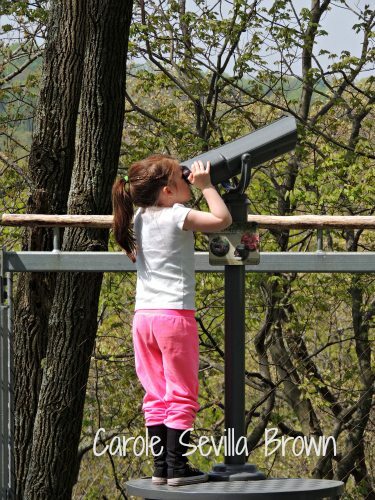 That is the interactive experience that Morris Arboretum has created for all of the nature loving kids in your life. 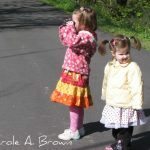 Seeing nature through a child’s eyes is one of the biggest joys of my life! This weekend I had the pleasure of visiting Morris Arboretum with my 3 favorite nature-loving kids: Libby (7), Penny (5), and Emmett (2) and their mom Mary. 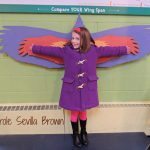 One of the things I love about Morris Arboretum is that they have made it their mission to create kid-friendly interactive experiences to bring nature close to children. 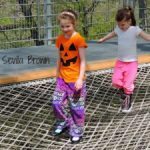 Experiences that involve all of the senses, and invite kids to dive right in for fun. 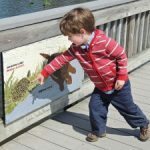 From fun bike racks, to interpretive signs, to interactive displays, to plenty of room to run, quiet places to explore, things to smell, and so much to see, there is something here for all of your kids. This family lives across the street from me, and I’ve had the joy of watching each of them grow up. 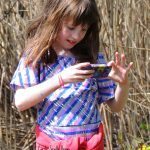 It’s so much fun to see nature through their eyes, to participate in their joy of exploration, and witness their joy in playing and learning in the natural world around them. 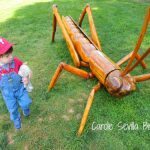 Libby and Penny were really excited to show us the Big Bugs, and raced happily ahead to show off each sculpture.